What’s better than wine, friends, and laughter? It’s like the trifecta of awesome. We got the chance to go to Napa in April with two of our closest friends, Whitney and Jess. We went to dream up some ideas….more on that soon. Another thing we got to do while we were in Napa for this trip was to go see our favorite comedian, Kathleen Madigan. We’ve learned that laughter truly CHANGES things. There’s a reason why it is said that it’s the best medicine. We believe it. We take any chance we get to laugh. We were so stoked that Kathleen happened to have a show in Napa while we were there! Her show was amazing, as always, and if you ever get the chance to see her LIVE, go! Life can get so serious. All of us humans are under a lot of pressure to perform, provide, do, do, do all the time. Sometimes you need to escape the pressure and just laugh. Life is funny, after all. It’s not all serious. As you head home for the holidays, or to in-laws, or whatever you may be doing, make sure to add laughter to the mix. 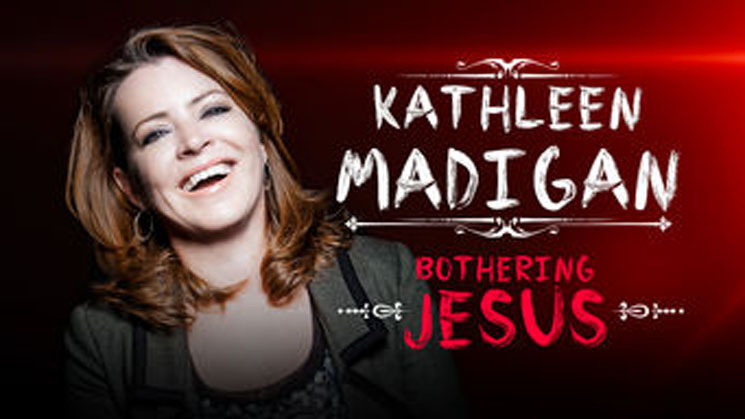 Play some funny games, drink some wine, and watch these Kathleen Madigan specials on Netflix. The whole fam will love them! Tomorrow the blog is all about answering your burning questions about if we’ve been dating on the walkabout. Hint hint…we have! And we’ve got stories for you!